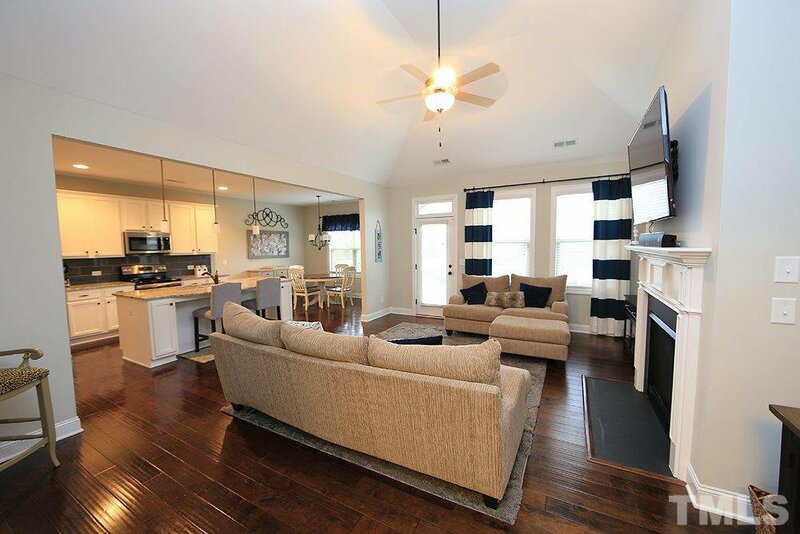 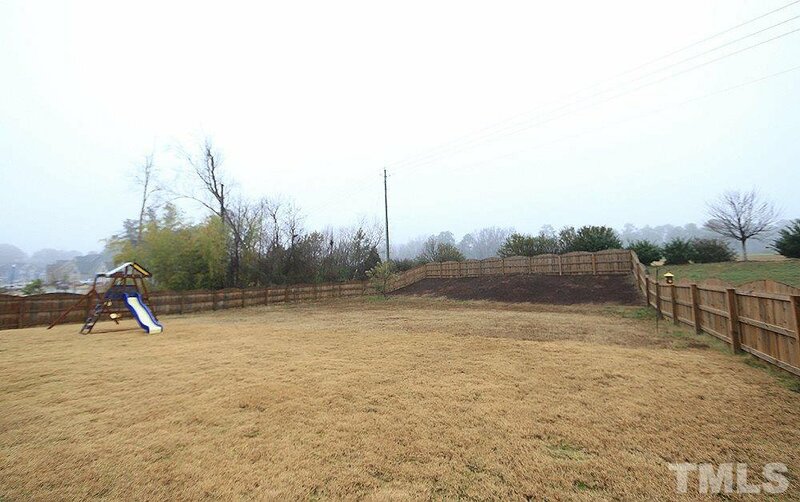 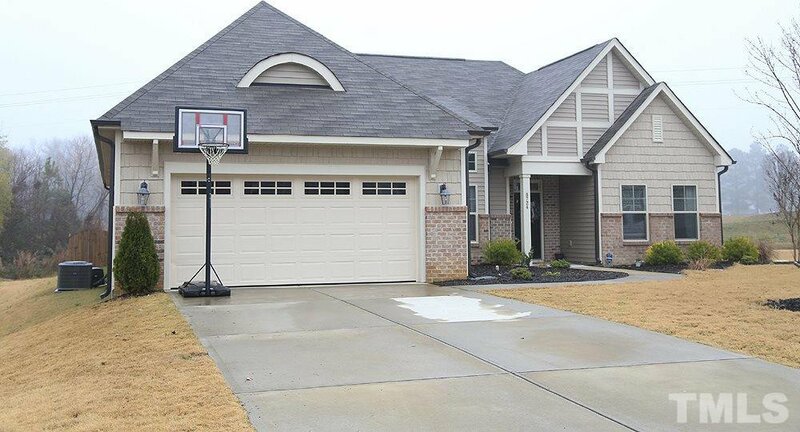 Almost NEW RANCH with FENCED backyard in WAKE county! 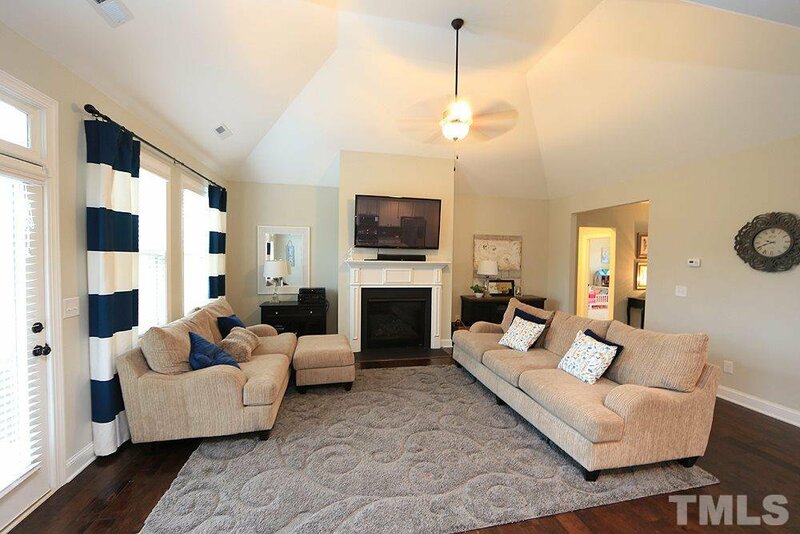 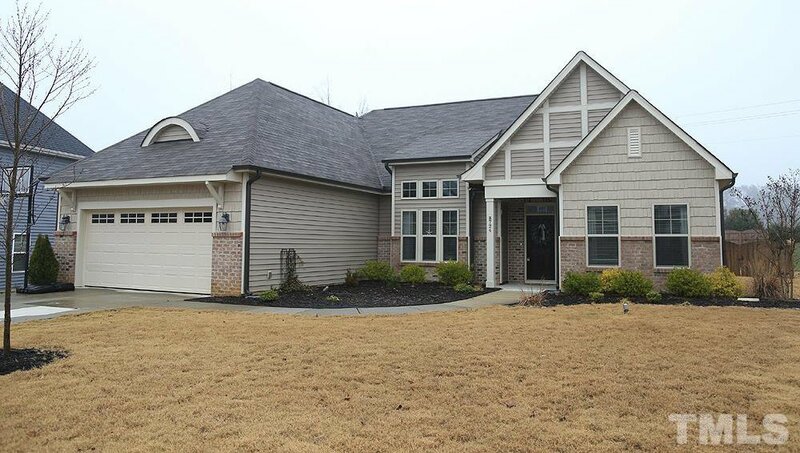 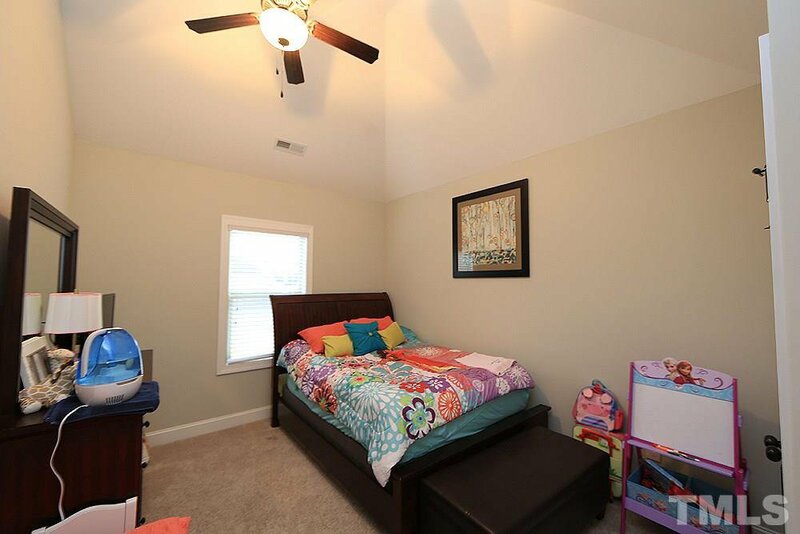 Raised, vaulted and tray ceilings throughout. 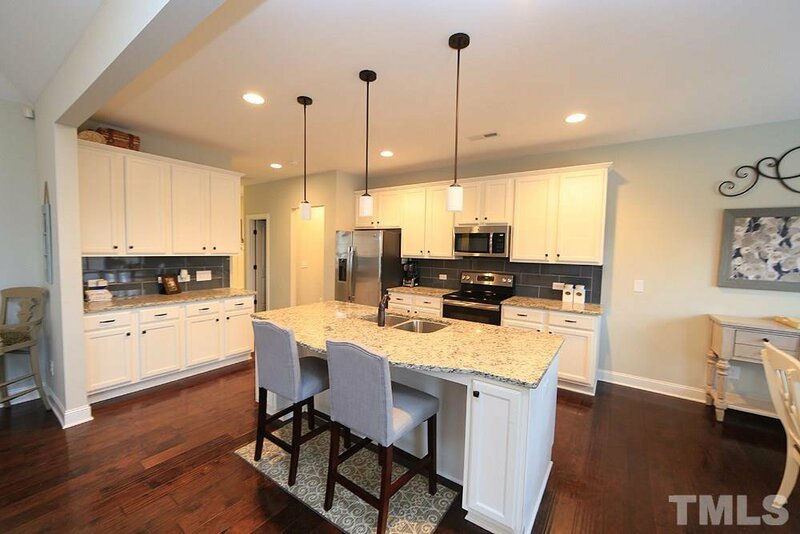 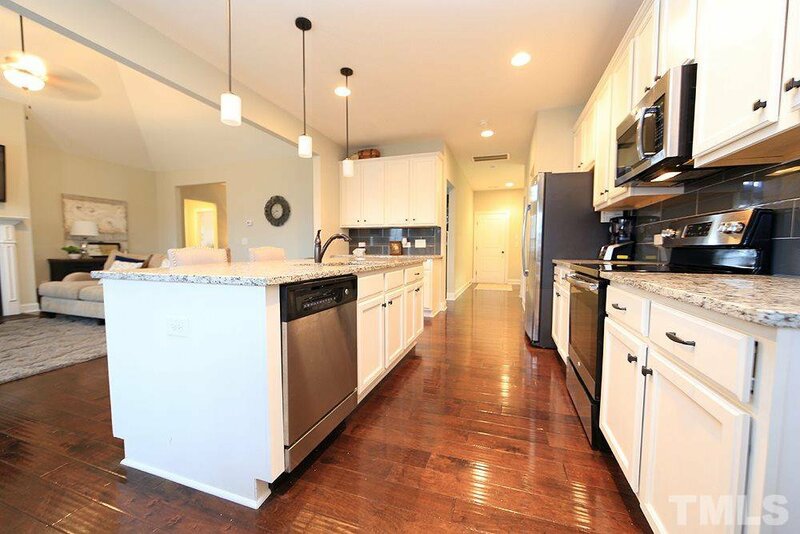 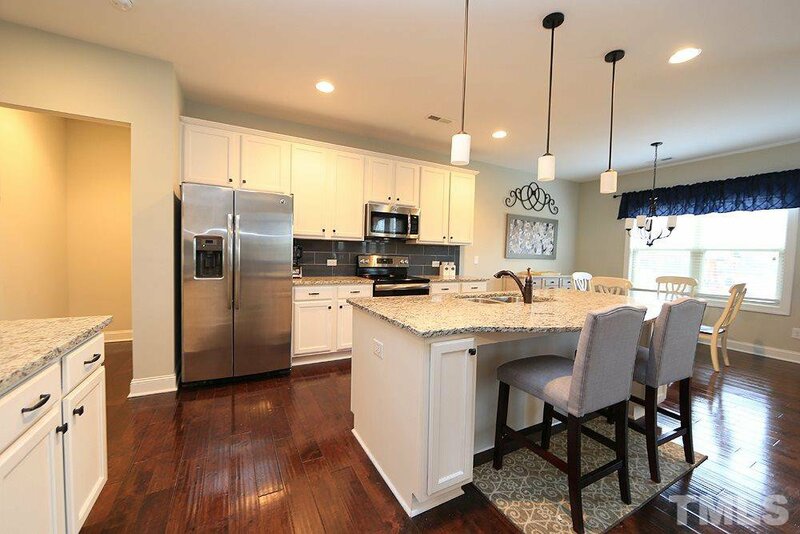 Oversized kitchen island with white cabinets, granite tops, and stainless appliances. 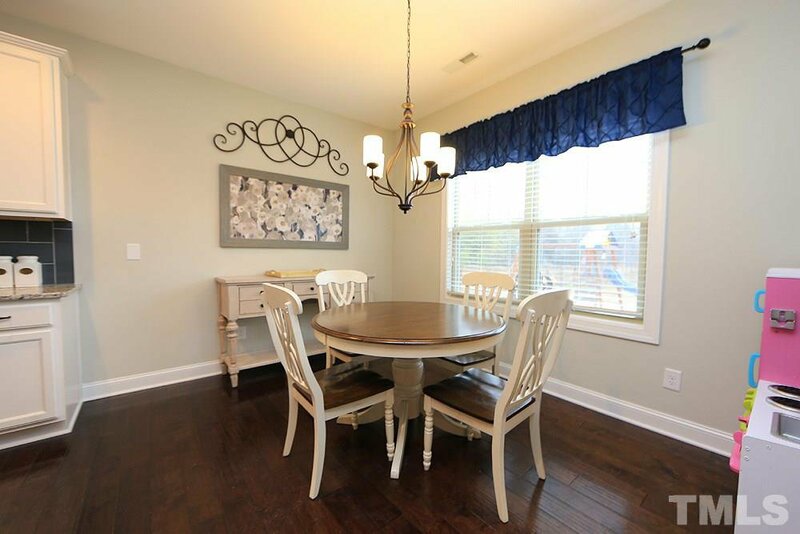 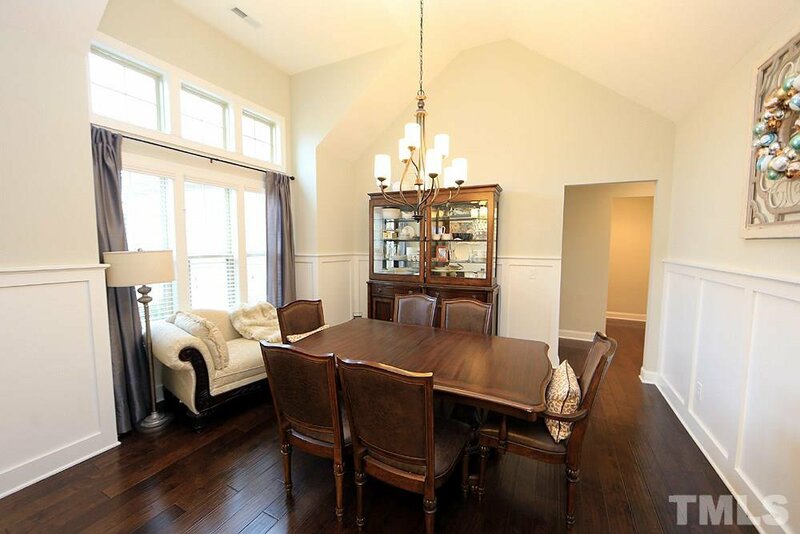 Large breakfast room and separate formal dining with craftsman trim and raised ceiling. 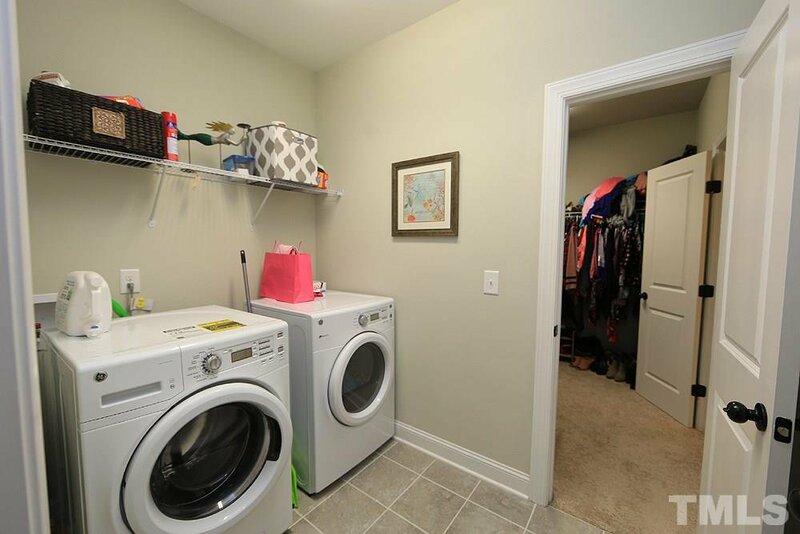 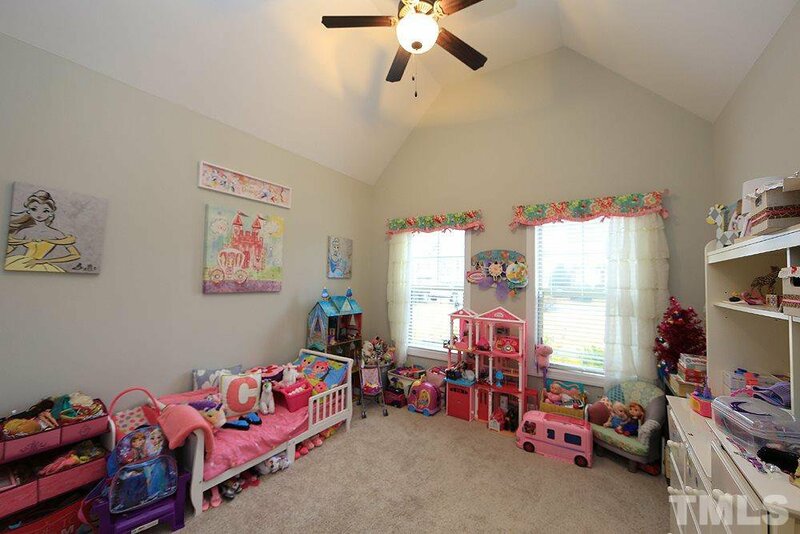 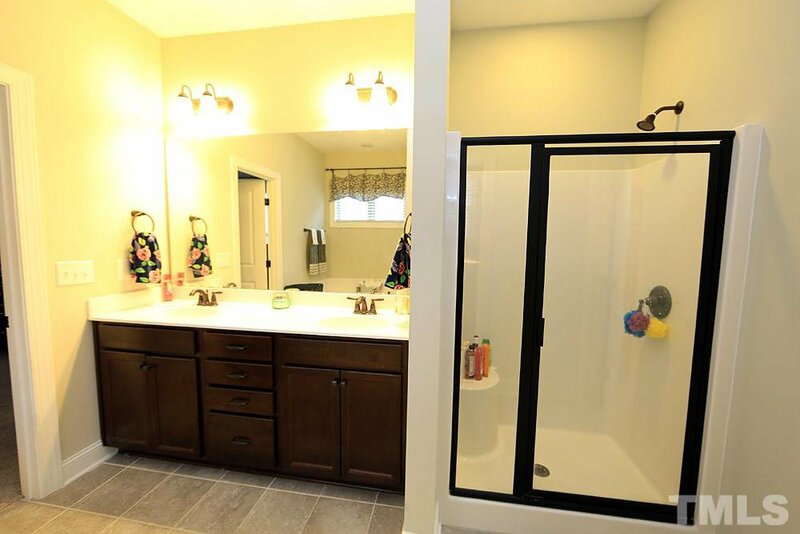 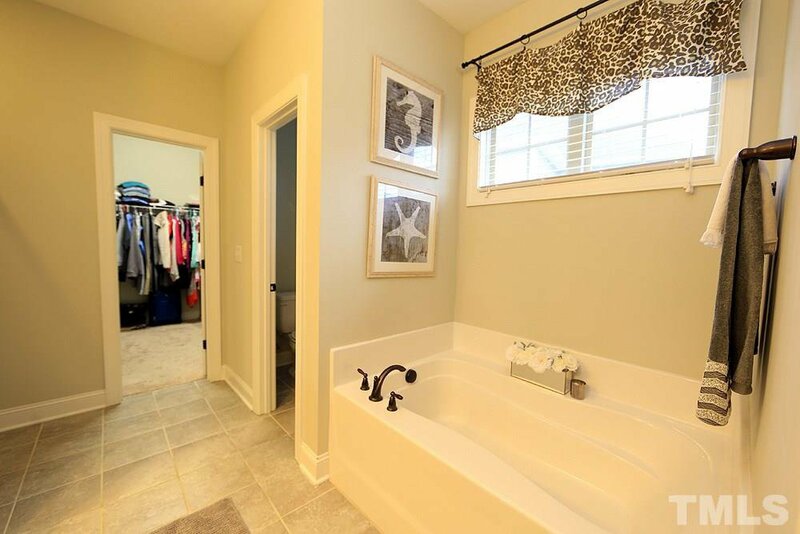 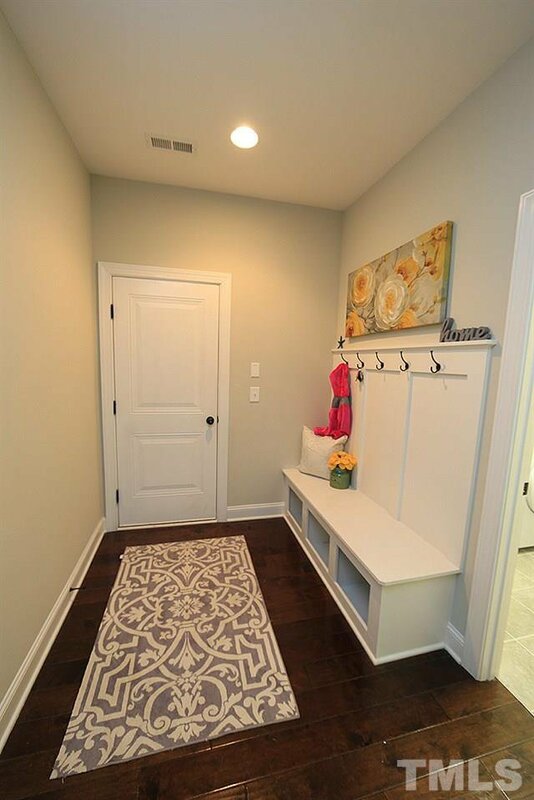 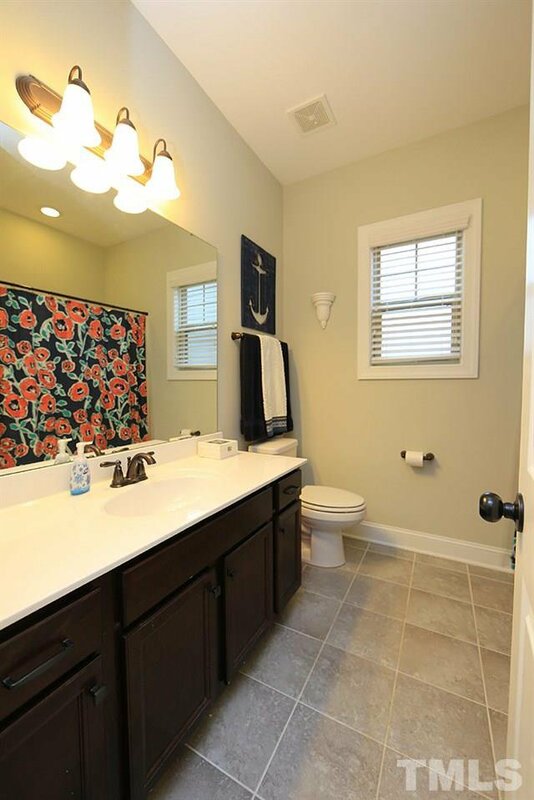 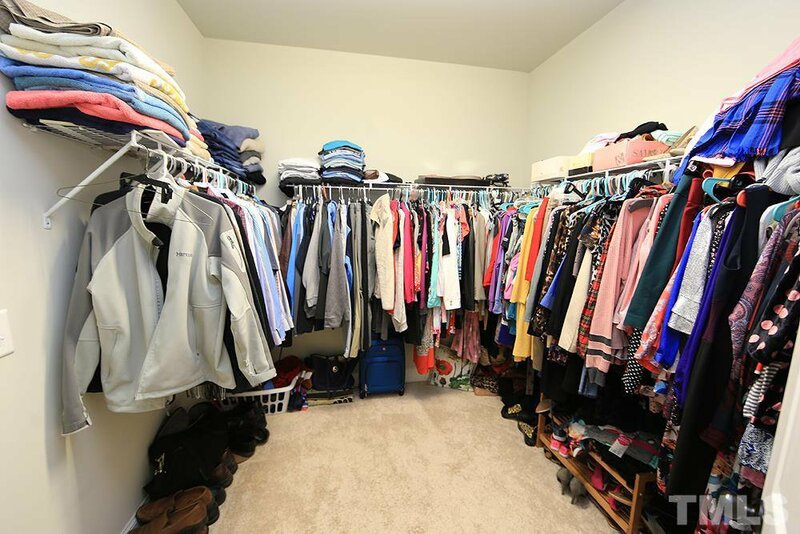 Laundry room offers direct access to Owner's suite as well as mud room complete with drop zone. 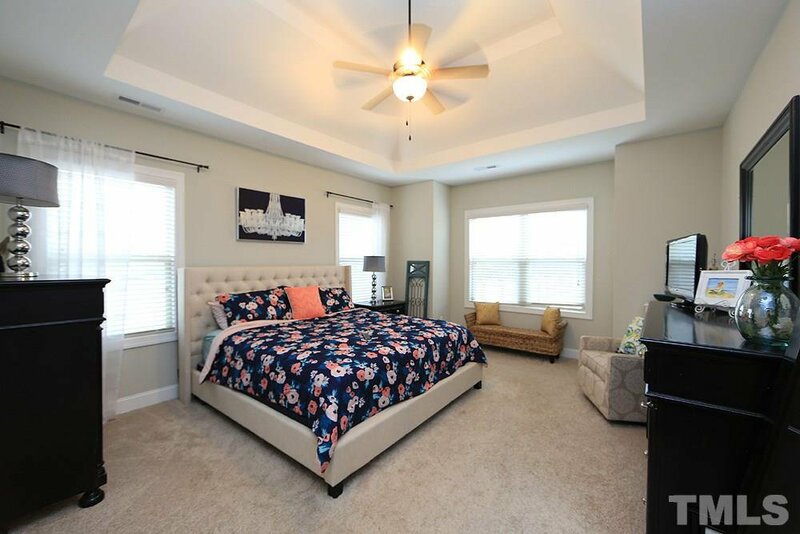 Split bedroom plan with great closet space throughout Hardwood through living areas, carpeted bedrooms, tile baths.